Have you ever dreamed about living under the water? The Poseidon Undersea Resort can realize all that you want! Sure, the suite will cost a lot of money ($30,000 per night), but you will live in the huge suite with a really great big windows. This luxury undersea living will let you feel something indescribable! 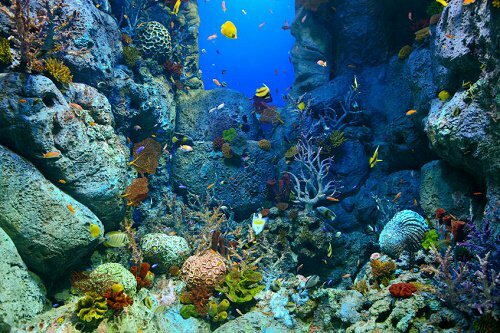 The first you will see when you wake up will be the beautiful coral garden and different colorful fishes, you can even feed them. Also there is one very special vehicle – Triton submarine.